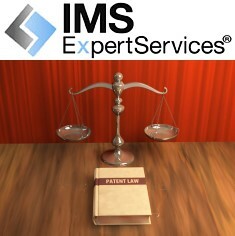 This article by Annie Dike, writing for IMS ExpertServices, discusses patentability of computer algorithms and the mostly subjective tests applied by courts when determining veracity of claims. Per Ms. Dike's assessment, a 'Thought Police' aspect of adjudication is employed by justices, often in courtrooms where the only people truly qualified to render informed decisions are the plaintiff, defendant, and various experts in the field. For many judges, the 'you don't know what you don't know' scenario exists, meaning that while he/she may be brilliant concerning objective law, not being well versed in requisite technical issues can result in a judge not realizing how deficient in knowledge he/she is. The 'Alice' decision referenced in her article includes an attempt by the U.S. Patent and Trademark Office (USPTO) to clarify the concept of abstract vs. non-abstract algorithms by offering fuzzy examples. Basically, software would need to perform a function not doable by a human in order to quality. A clear example that comes to my mind is processing digital data gathered by electronic sensors, be they photographic, magnetic, audio, gravitational, atomic forces, etc. Even though a computer by its nature cannot perform any task not programmed by a human, it is capable of processing data in a way not possible by a human or even a large group of humans within the constraints of mortality. That is, yes, humans could assimilate millions of data points collected by electronic sensors and generate an image, a statistical likelihood, a prediction, or an interpolation, etc., but the task could not possibly be completed in a human lifetime - and that's for a single result. Imagine trying to confirm detection of the Higgs boson as a result of hand-worked computations, generating an MRI image of a brain section, or creation of those incredibly colorful and detailed deep space renditions of gaseous nebulae. I think maybe a useful item in a list of objective tests for software patentability should be a time limit in how long it would take to manually produce results obtainable by a computer algorithm, based on the state of that art of computers typically employed for the task at the time of the patent application. Albert Einstein worked out his general theory of relativity in a mere ten years (1905-1915), almost single-handedly, using only pencil, paper, a slide rule, and logarithm tables. Of course any decision on what constitutes a reasonable objective time limit test would itself be a subjective process - even in the fundamental aspect of whether an absolute or a relative time should be codified. Quantum computing will eventually obviate even that criterion, but for now it is worth considering. It seems that might be the test. Well, it could be. Under the new Alice regime, it's hard to tell, but the U.S. Supreme Court's recent decision to refuse a patent owner's appeal based on dismissal of its patent as an "abstract idea" under Alice shows the high court is standing behind the new rule being enforced by what may be best coined as the "Thought Police." The appeal, filed by patent owner, OIP Technologies, against super-conglomerate Amazon, arose out of the Federal Circuit's dismissal of OIP's patent infringement claim based on a finding that the patent was invalid for consisting of only an abstract idea. Scores of software patents have been dismissed as invalid under the same analyses since the Alice opinion was released in June of 2014 and it appears the Supreme Court is now also standing firmly in Alice's corner. So, what do we make of this? Are all concepts implemented via a computer system virtually un-patentable? What exactly does it mean to be an "abstract idea?" Although it may not seem fair, it appears ideas that existed prior to the emergence of computer technology and that are merely implemented via a computer are more susceptible to the "abstract idea" label than those that originate and are inextricably rooted in computer technology. One example the USPTO offered as guidance when it released various abstract vs. non-abstract hypotheticals as part of its 2014 Interim Eligibility Guidance was a malware removal program. The program physically isolates a received communication on a memory sector and extracts malicious code from the communication to create a sanitized communication in a new data file. Thus, the computer program itself has to do some ‘thinking' to accomplish the task. The process cannot be completed without computer involvement. For this reason, the court found it was not merely computer implementation of an existing idea. On the other hand, if a software program merely receives data and spits out an answer that can be calculated by hand, it will likely be considered an abstract idea, as there is no computer thought processes involved above and beyond what a human can compute. While that difference may seem easily discernible in the example above, it can get messy quickly. For example, suppose you have a computer program that runs the Round Robin program for your local weekly doubles basketball tournament with the guys at the YMCA. You plug in the team names and the computer program spits out the bracket and the team face-offs as losses and wins are entered. Is this an "abstract idea" merely implemented by a computer? Likely. But, what if the computer program, based on player and team stats, win/loss records and other algorithms, could predict which team would win the tournament? Is the computer "thinking" now? You may say, "not yet" because that could theoretically be done by a human with pen and paper. True, albeit not nearly as quickly ─ and isn't there value in that? On the other end of the extreme, if the computer is performing this process for a virtual tournament on the internet, where the players are made of pixels, it is easy to see how the software is inextricably rooted in computer technology because it is a computer-based game. But, it is also easy to see the big grey battlefield where software patents are being slain left and right by a wall of shield-clad, batten-carrying Thought Police. The underlying question here: Do you think this is fair? Perhaps this new "I think therefore I am" regime is stifling innovation and leaving many valuable and necessary areas of commercial software unprotected. We recently wrote an article on the seemingly Mad Hatter-type riddles the Alice decision left in its wake and some commenters suggested the test should not be whether the idea is abstract but whether it is novel. In other words, the court should decide first and foremost whether the program offers something new and valuable as opposed to merely something only a computer can compute. On the other hand, maybe the court should place more value on efficiency. If the program performs a process a human could (okay, yes theoretically) perform, over the course of seven chalkboards, eight sticks of chalk, and nine hours, and does so in nine milliseconds, is there value in that efficiency?